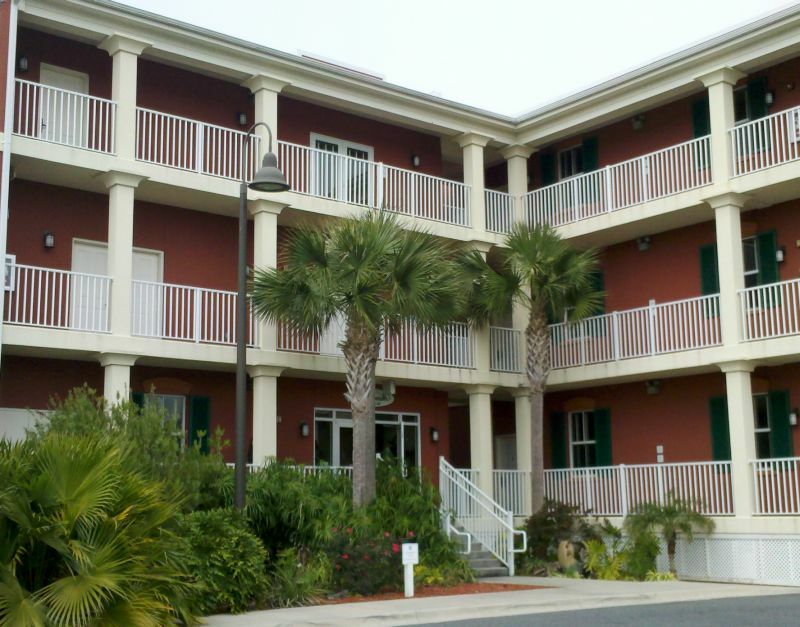 I am reverting back to the two days we spent in Apalachicola just before our Gulf crossing. It is a funky little one-stoplight town of which I am very fond and I have been here enough times that I can actually spell it and say it right. Perhaps my feelings have something to do with the six great seafood restaurants, scenic working waterfront and history at every step. 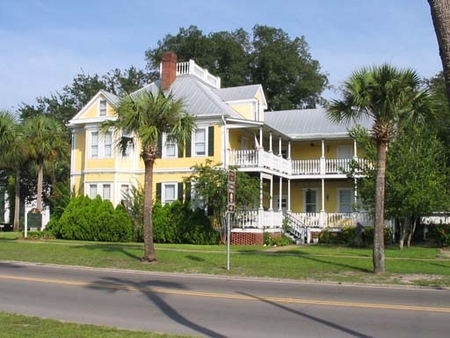 Apalach architecture is particularly interesting because the town has been through three great booms — cotton, lumber and shellfish harvesting. But over-planting burned the nutrients out of the ground that are needed to grow cotton, they chopped down all the juniper, cypress and live oak trees and the oysters are on their way out. For the past three years, virtually no fresh water has come from the parched midwest into Apalachee Bay. We know, we were there on all the dried up lakes and rivers. Anyone who doesn’t believe in climate change should take this trip. Anyway, within a block you will see Greek Revival, Victorian and rambling Southern big-porch, pressed- tin- roof houses cheek by jowl. If you see somone out raking or watering, you will get the whole house story, since these people are justifiably proud of the well-preserved ones. 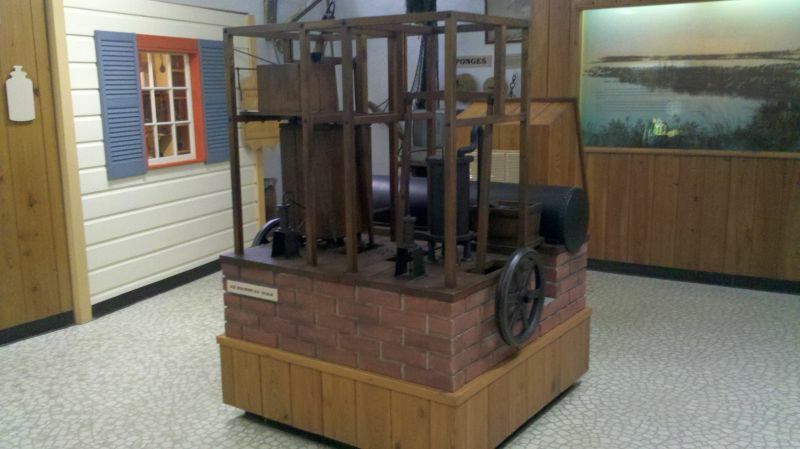 Apalach is also the home of Dr. John Gorrie, a little-known hero of medicine and physics. Yellow fever was so bad in Apalach before the Civil War that the good doctor worked for years on perfecting a way to bring the victims relief, and in the process, the self-trained physicist invented refrigeration Sadly, he died of what sounds like exhaustion just when the first working model was perfected. So now Apalach depends on tourism, but it’s so remote that I hope they make it. The town is a treasure. I Water Street Hotel. Nice slips in back. I was very tempted to haul out the American Express and sleep in a real bed and take a real bath, but would have been scorned by my fellow loopers. 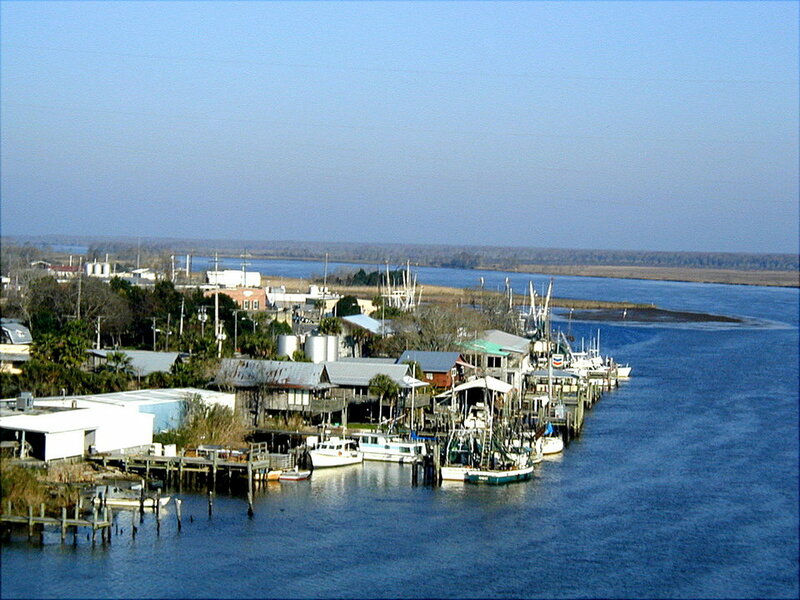 Apalachicola — not much to look at, but I am very fond of the place. Apalach Waterfront — Chamber of Commerce Picture, couldn’t get one from the boat. 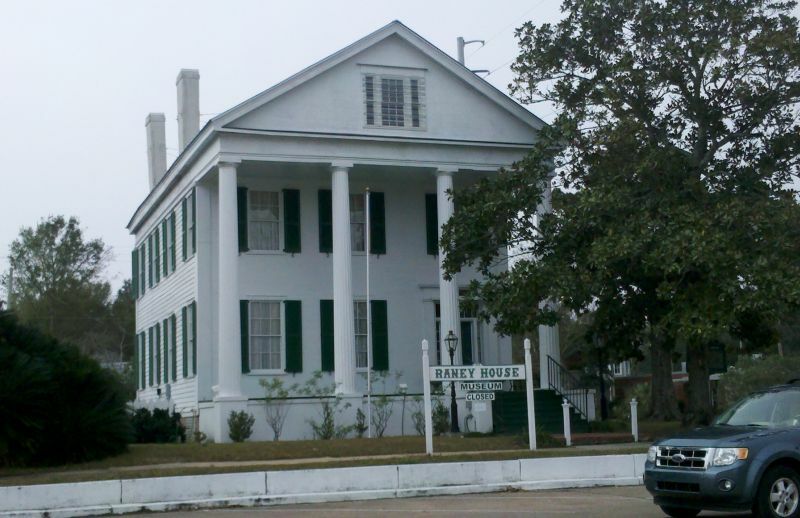 Raney House — perfect Greek Revivial from 1832. Closed the day we were there! 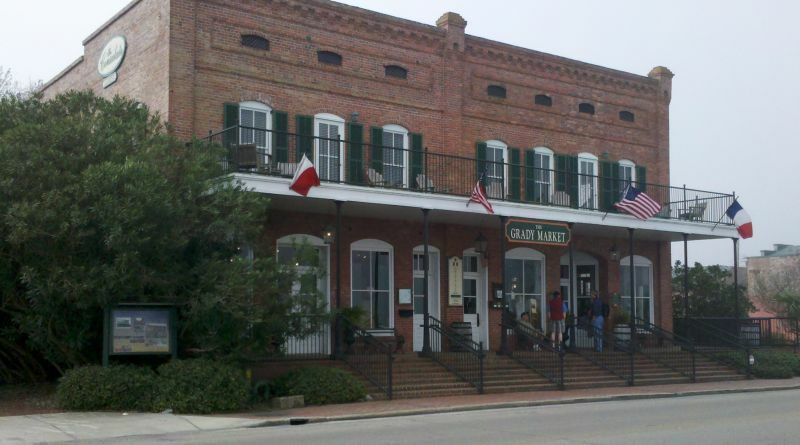 Grady Market — during the lumber boom, a major ship chandlery. Now and art-gourmet-clothing-garden-antiques-book-gift store. 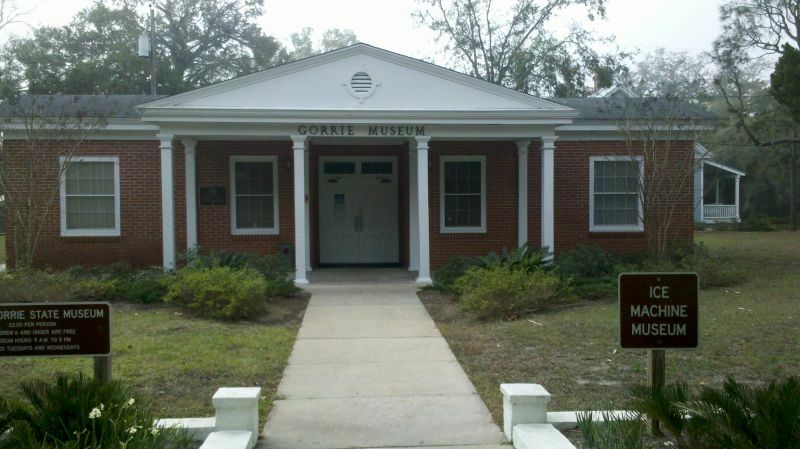 Gorrie museum — great tour because I was the only visitor. Wonderful blog as always, a bit of history a bit of meanderings from” the sage of the Loopers” and some wonderful pictures. Its snowing here wish I were there.